With the increasing prominence of open collaboration as found in free/libre/open source software projects and other joint production communities, potential participants need to acquire skills. How these skills are learned has received little research attention. This article presents a large-scale survey (5,309 valid responses) in which users and developers of the beta release of a popular file download application were asked which learning styles were used to acquire technical and social skills. 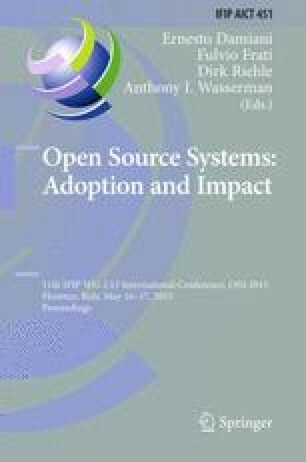 We find that the extent to which a person acquired the relevant skills through informal methods tends to be higher if the person is a free/libre/open source code contributor, while being a professional software developer does not have this effect. Additionally, younger participants proved more likely to make use of formal methods of learning. These insights will help individuals, commercial companies, educational institutions, governments and open collaborative projects decide how they promote learning.